The 2018 Network Annual Gathering returns to Horsley Park in Surrey from 6-8 July 2018. 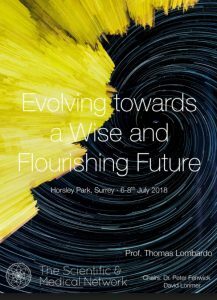 The Programme will begin on Friday evening with drinks and dinner and continue on Saturday with presentations from 2017 Network Book Prize winner Prof Thomas Lombardo: Future Consciousness: Theoretical Introduction and Future Consciousness: Psychology, Practice, and Wisdom . In the afternoon there will be free time for networking and for short informal presentations from members related to the theme. Please send 150-word abstracts to [email protected] by May 31 at the latest. On Saturday evening we arrange our own entertainment and party. 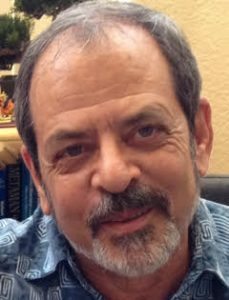 Tom Lombardo, Ph.D. is the Director of the Center for Future Consciousness and The Wisdom Page, the Managing Editor of the online journal Wisdom and the Future, and Professor Emeritus and retired Faculty Chair of Psychology, Philosophy, and the Future at Rio Salado College, Tempe, Arizona. He is a Fellow of the World Futures Studies Federation (WFSF), a special honor given to members who have made a globally recognized original contribution to futures studies, and he is also an Executive Board member of the WFSF. He has published seven books and over fifty articles, and given an equal number of national and international presentations covering such topics as the future of education; utopian and dystopian futurist thought; wisdom and character virtues; the evolution of science fiction; the future evolution of consciousness; the “wise cyborg”; contemporary theories of the future; and heightening future consciousness. 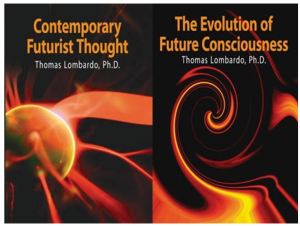 His latest book, Future Consciousness: The Path to Purposeful Evolution, has been described as a “masterpiece” and “truly breathtaking.” He is presently working on a new book series, Science Fiction: The Evolutionary Mythology of the Future, which has been hailed as “a brilliant piece of work” and “a ‘must-read’ in the study both of science fiction and the future.” Dr. Lombardo is a graduate of the University of Connecticut and University of Minnesota and a graduate fellow of Cornell University. How do we create a good future? This deceptively simple question is the central challenge of human life. Indeed, the question brings to centre stage the most distinctive and empowering capacity of the human mind: to have emotions, desires, and goals about the future; consciously to imagine, think about, and evaluate such envisioned futures; and intentionally and methodically to pursue preferable futures. 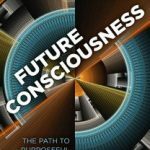 I refer to this multi-faceted normal psychological capacity as “future consciousness.” Our unique conscious minds, reflecting and amplifying nature’s vast and pervasive evolutionary process, have achieved an evolution in evolution—a jump to purposeful evolution—through future consciousness. 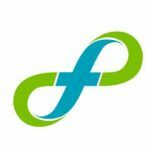 Future Consciousness: The Path to Purposeful Evolution reveals how, through the heightening of future consciousness, we can flourish in the flow of purposeful evolution and create a good future for ourselves, human society, and the planet. Part one of this two-part presentation describes the key theoretical concepts of the book: evolution and human purposeful evolution; reciprocity; holistic future consciousness; flourishing and defining the good future; the holistic character virtues of heightened future consciousness; and self-responsibility and the self-conscious mind within the ecology of the world. Future Consciousness presents a theory of the conscious human mind and a means to realise the good future anchored to a vision of an evolutionary cosmos and our place within it. Part two of this presentation shifts the focus from the theoretical to the practical, highlighting how future consciousness can be heightened through the development of character virtues across all the major dimensions of the human mind, including emotion, motivation, purposeful behaviour, learning and memory, knowledge and understanding, thinking and imagination, creativity, and self-evolution. A key practical concept, the ideal future narrative, is introduced and applied to the individual and collective development of wisdom. As a central conclusion of the book, wisdom is identified as the highest expression of future consciousness and should serve as a guiding light for our own personal evolution, the future of education and human society, and the ongoing future evolution and transcendence of our species. We should aspire toward living “wisdom narratives” and creating a “wise society” as pathways to a good future. As an introduction to my next book, my talk ends with Olaf Stapledon’s cosmic evolutionary wisdom narratives, illustrating how science fiction, as a narrative mode of holistic future consciousness, is the evolutionary mythology of the future, providing inspiration and imaginative breadth for the ongoing purposeful evolution of humanity. Horsley Park is based round a grand Victorian mansion built in 1828 with an ornate classical chapel, wonderful four-poster beds and Great Hall. We will be using more contemporary accommodation at Horsley Court Horsley Park is set within 70 acres of beautiful parkland, and leisure facilities include a health and fitness club with gym, sauna and indoor swimming pool. is in en suite single or double rooms. Rates include all meals and coffee/tea breaks. Please reply using the booking form. In the event of cancellation, a fee of £20 will be retained, and no refunds can be given after 15 June.